Tip: Be sure to make a batch of cashew Parmesan cheese first — it takes just a minute to put together and this recipe includes it! Be sure to make a batch of cashew Parmesan cheese first -- it takes just a minute to put together and this recipe includes it. Combined shredded potatoes, olive oil, shallots, green onions, garlic, parsley, and flax eggs in a large bowl. With slightly oiled hands, make 8 thin potato pancakes and place them on a prepared baking sheet (you can spritz olive oil directly onto baking sheet, or place a sheet of parchment paper down first). Bake for 30 minutes, flipping pancakes at the halfway point. They should be golden brown in color. 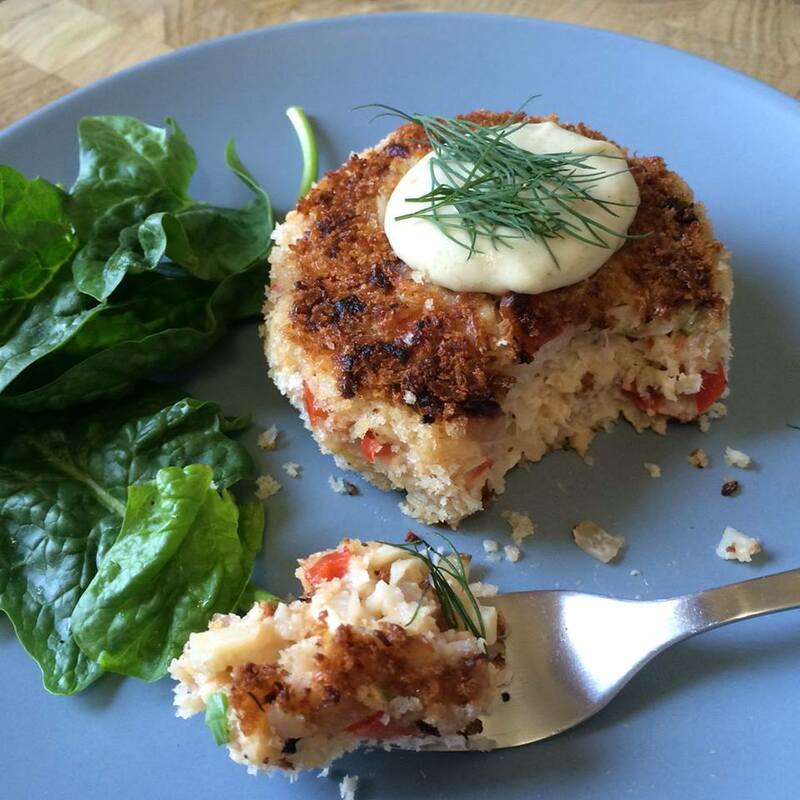 Serve immediately with a dollop of non-dairy sour cream and and fresh parsley -- applesauce goes great with them, too! Never be without this in the kitchen! Noteworthy! : Cashew Parmesan cheese can be a great source of Vitamin B12, is delicious over pasta, and can be used in countless recipes — from pesto to potato pancakes to eggplant meatballs. Even the dairy-cheese eaters I know love this stuff! 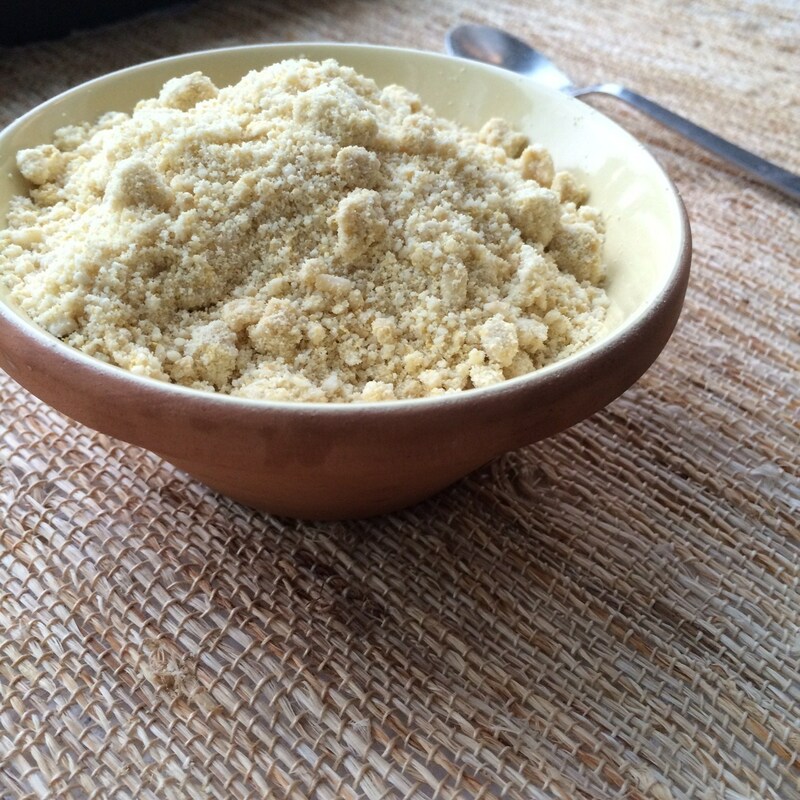 Cashew Parmesan cheese can be a great source of Vitamin B12, is delicious over pasta, and can be used in countless recipes -- from pesto to potato pancakes to eggplant meatballs. Place all ingredients in a food processor or NutriBullet and mix/pulse until finely ground. Store in the refrigerator to keep fresh. Admit it — without the recipe title, you didn’t know what they were, right? Tip: Baby eggplant make a great appetizer or side dish when served with fresh-baked bread, or try serving them over spaghetti with classic marinara for a simple and delicious main course. Baby eggplant make a great appetizer or side dish when served with fresh-baked bread, or try serving them over spaghetti with classic marinara for a simple and delicious main course. Thinly slice a clove or two of garlic (more if necessary). Press a slice or two of garlic with a bit of oregano or basil into each "X" at the bottom of the eggplants. Arrange eggplants in a glass baking dish, season with salt and pepper, and drizzle them with olive oil (and a bit of lemon juice, if desired). Cover the baking dish with aluminum foil, making sure not to touch the eggplants with the foil. Roast, basting frequently with the oil in the dish, until the eggplants are very soft, 30-40 minutes. Remove foil and roast for 5-7 more minutes. 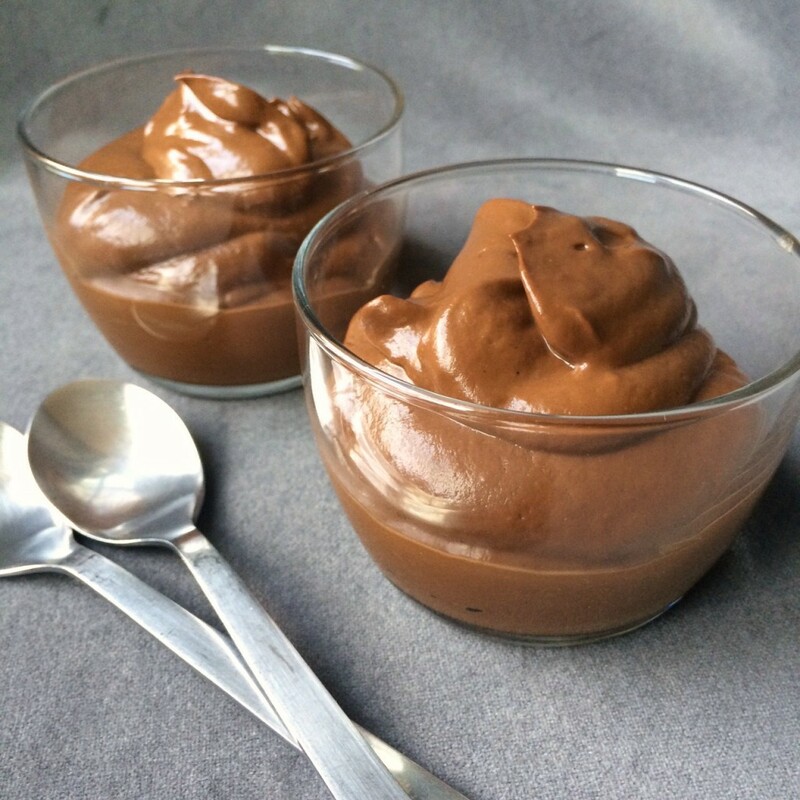 Rich, flawless chocolate pudding sans dairy and eggs because… avocados! 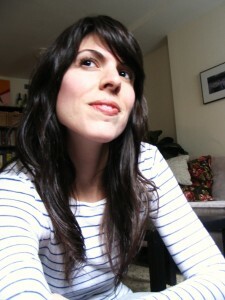 Tip: Experiment (if you’re so inclined)! There are so many possibilities with avocado pudding, so play around with ingredients and toppings (think shredded coconut, peanut butter, cinnamon, banana, non-dairy chocolate shavings, toasted walnuts, or coconut whipped cream). Rich, flawless chocolate pudding sans dairy and eggs because... avocados! Add all ingredients into the most powerful high-speed blender or food processor you have and blend until creamy and smooth. Add more coconut or almond milk to thin out mixture or help blend if necessary. Add more raw cacao powder for a richer chocolate flavor. Add more maple syrup if you prefer it sweeter. Experiment (if you're so inclined)! There are so many possibilities with avocado pudding, so play around with ingredients and toppings (think shredded coconut, peanut butter, cinnamon, banana, non-dairy chocolate shavings, toasted walnuts, or coconut whipped cream). Tender, crispy, savory, creamy, and sweet all meet up for dinner. Remove leaves and trim stem end of cauliflower heads, leaving core intact (this is important -- this is what holds the cauliflower steaks together). Place cauliflower, core side down, on a work surface. Using a large knife, slice cauliflower directly down the center of the core (so you have 2 halves). Cut one 1-inch steak out of each half, slicing just to the left and then just to the right of the center core to get steaks. Set steaks aside. Take all of the remaining cauliflower florets (that are not part of the 4 steaks) and place in a large pot. If some florets are very large, chop them down a bit first. Cover florets with water, place pot on stove top, cover, and bring to a boil (just as you would do for mashed potatoes). Once water is boiling, reduce heat and boil until cauliflower is very soft (a fork goes in without pressure). 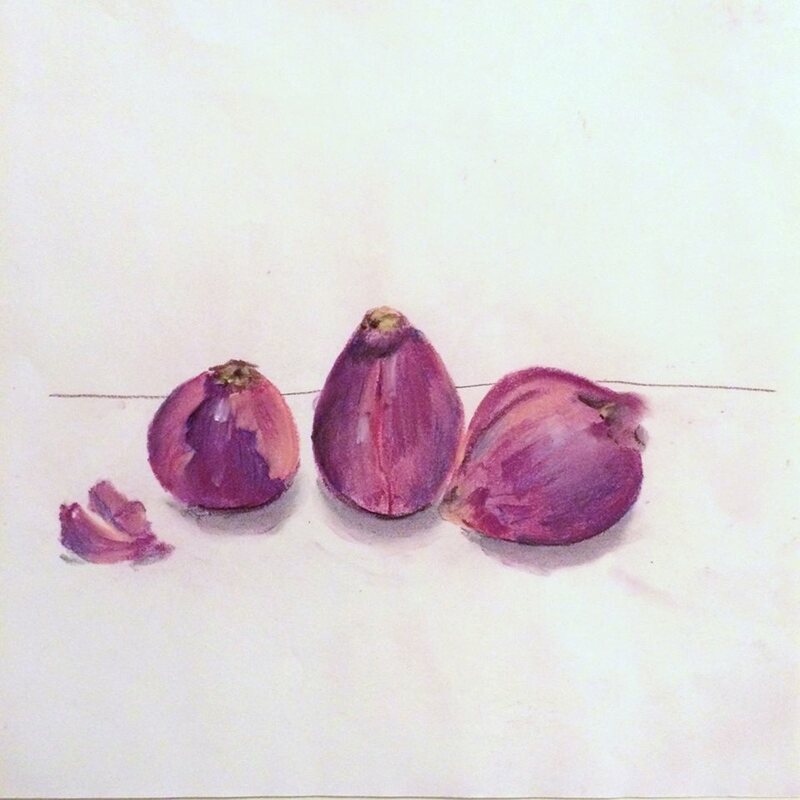 Place red onion slices into a skillet with a drizzle of olive oil and salt and pepper to taste. Cook until they become deep purple, stirring frequently (about 30 minutes). While florets are boiling, melt Earth Balance and stir in dried rosemary, ½ teaspoon of the salt, and freshly ground black pepper. Using a pastry brush, brush this mixture onto both sides of cauliflower steaks, including the steaks' sides. Heat a cast-iron skillet (or a regular pan, if you don't have one) until it's very hot. Working in 2 batches, pan-sear cauliflower steaks until golden brown, about 3-5 minutes per side (or longer if you prefer them darker). Transfer steaks to a baking sheet. 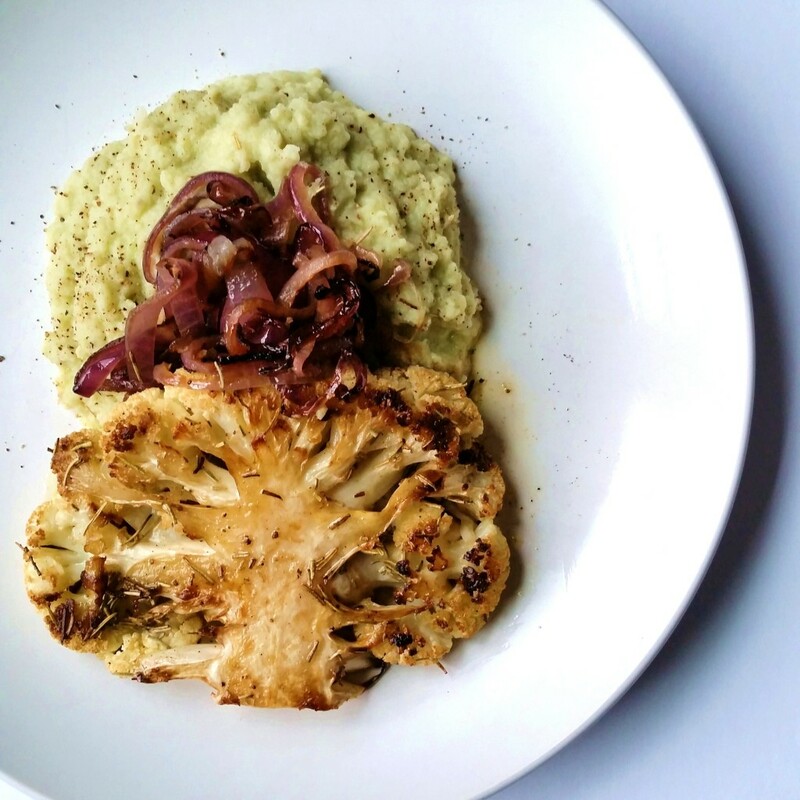 Roast cauliflower steaks until tender, about 10-15 minutes. While the steaks are roasting in the oven, drain the finished cauliflower florets. Place florets in a food processor with ½ to ¾ cup avocado, 1 to 2 garlic cloves, ½ teaspoon of the salt, and freshly ground pepper. Purée until creamy and smooth. (You may have to do this in 2 batches if your food processor's bowl isn't large enough.) Serve immediately. To make the sauce, whisk together the vegan mayo, mustard, 1 tablespoon water, ½ teaspoon of the salt, and ½ teaspoon of the pepper in a small bowl. Set aside. Run the Brussels sprouts through the slicer blade of a food processor or carefully shave on a mandoline. Heat the olive oil in a large saute pan over high heat. Just as the oil starts to ripple, add the garlic and the shaved Brussels sprouts. Sear for 30 seconds, then stir to prevent the garlic from burning. Add the remaining ½ teaspoon salt and ½ teaspoon pepper, then allow the Brussels sprouts to sear for 4 to 5 minutes, stirring occasionally so they brown evenly. 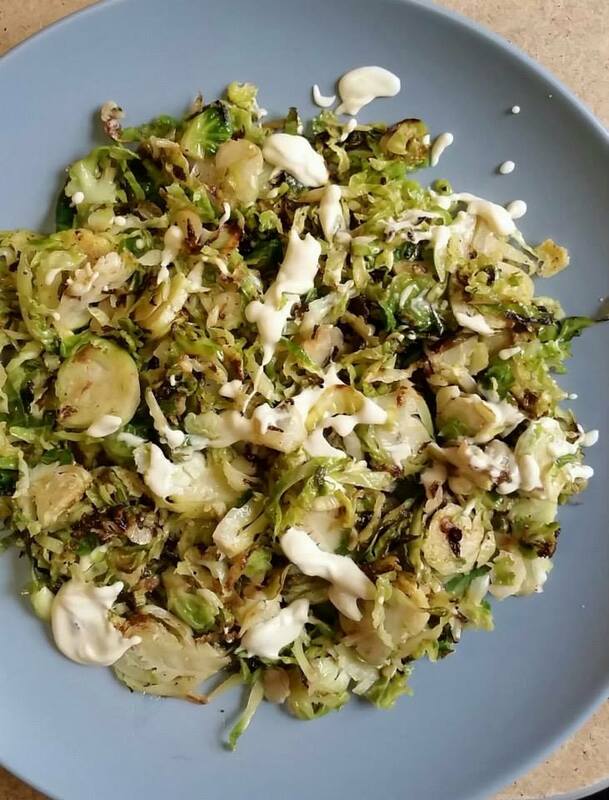 Transfer the Brussels sprouts to a serving dish, drizzle the mustard sauce on top, and serve. 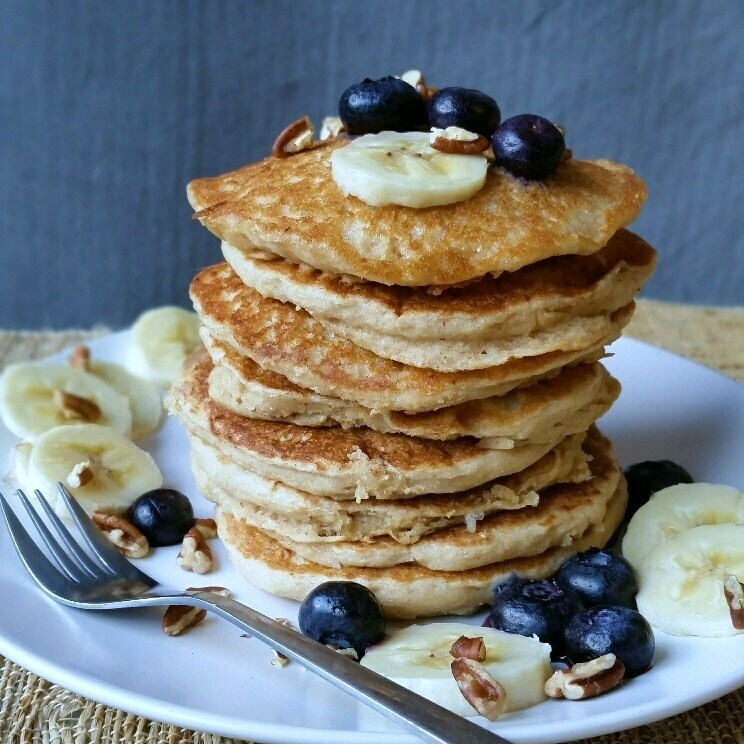 “Perfect,” meaning, about as good for you as pancakes can be while still tasting incredible. Combine flours, baking powder, and salt in a bowl. Use a whisk to make sure all ingredients are combined. Make the flax egg in a separate small bowl (combine ground flax seed and water; allow to sit for a minute until it gels — it should be goopy like an egg white). In a glass measuring cup (or a separate bowl), combine almond milk, maple syrup, applesauce, and flax egg. Gently fold the wet mixture into the dry mixture only until all ingredients are wet — do not use a mixer or over-stir. Lightly coat pan or griddle with coconut oil (or your oil of choice) and heat until hot (but do not allow oil to smoke). Pour out ¼-cup measurements of the batter. Flip pancakes when bubbles appear in the middle and edges start to look golden. Serve immediately with pure maple syrup, fresh fruit, chopped nuts, toasted coconut, or whatever else you love. NYC apartment = no grill. By all means, use one if ya got one. 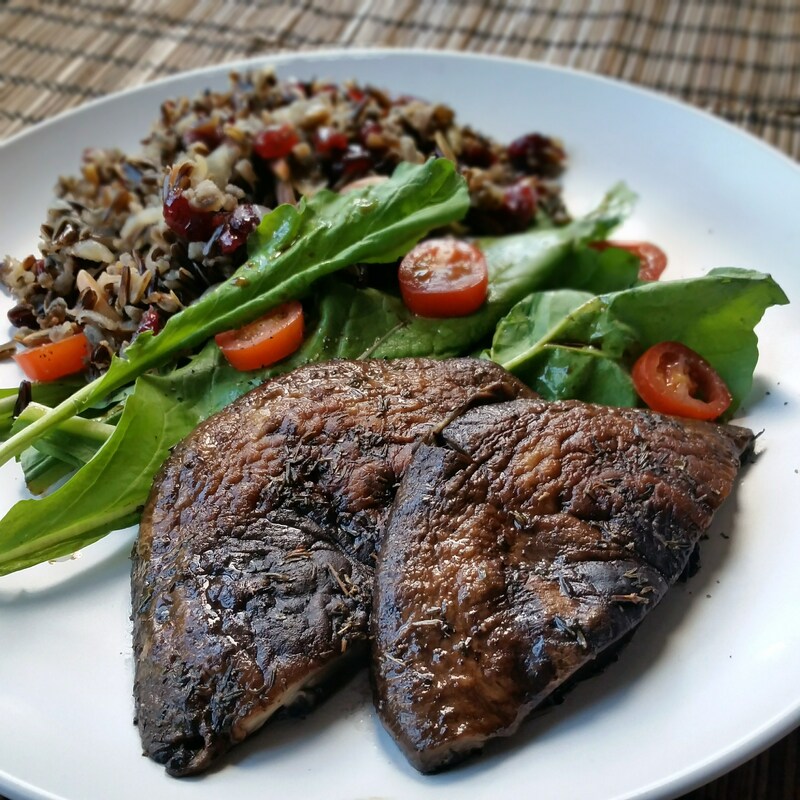 Tip: Serve with arugula and tomatoes splashed with balsamic vinegar, and cranberry wild rice with toasted almonds and pumpkin seeds (pictured). Or, choose your favorite flavorful side dish and salad. These could be grilled instead of pan-seared if you prefer. 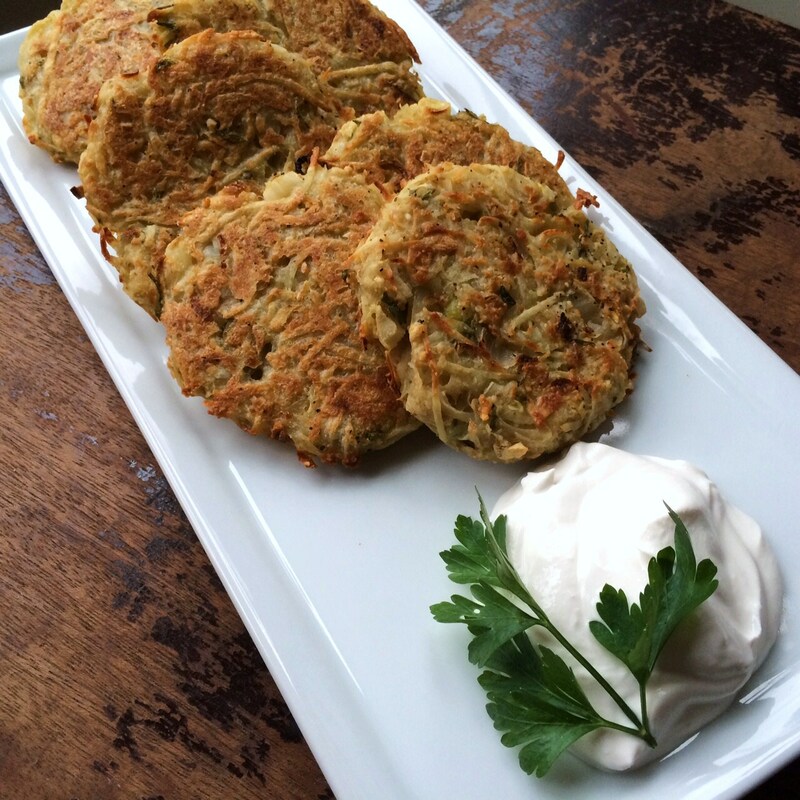 Serve with your favorite flavorful side dish and salad. In a large skillet, place Earth Balance or olive oil, thyme and marjoram. Heat until mixture begins to bubble. Add mushrooms (with the top side down) and reduce to medium heat. Cover, and cook 3 minutes. Turn mushrooms and cook flip side until tender when pierced with a knife (3-5 minutes). Serve hot -- whole, sliced in half, or sliced in strips. One of my autumn favorites, and perfect for the holidays. 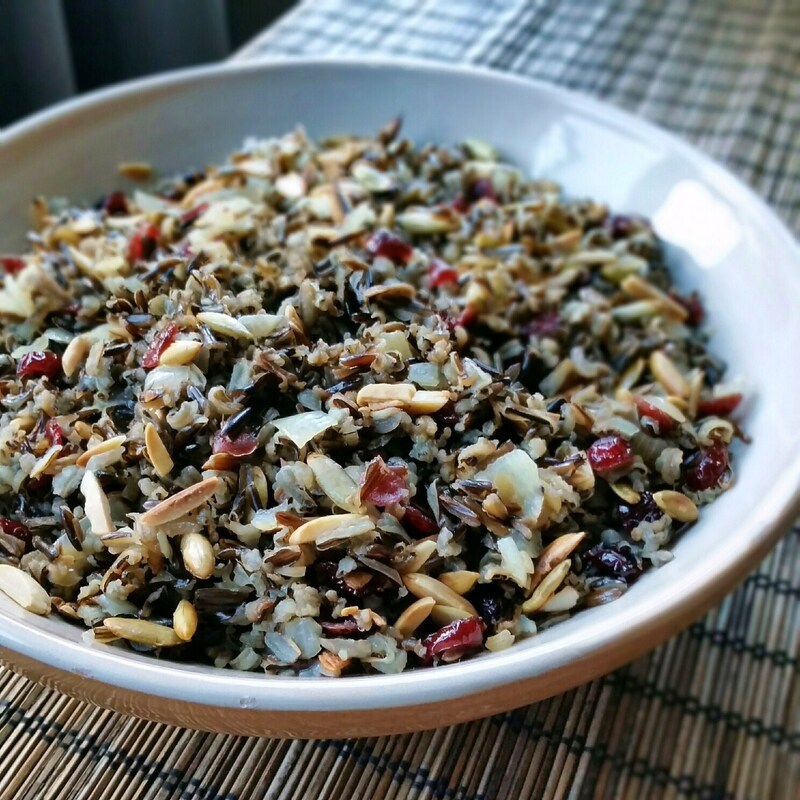 Clean wild rice by putting it in a strainer and running cold water over it, tossing it around with your fingers. Lightly coat an 8” x 8” x 2” baking dish with olive oil. Place wild rice and water in a 2-quart saucepan. Heat until boiling, stirring occasionally, then reduce heat to low. Cover and cook for 30 minutes, then drain (rice should not have absorbed all the water). Heat Earth Balance in a skillet. Cook onion over medium heat for just a few minutes until it gets a bit translucent and tender. Do not caramelize or overcook. Mix wild rice and onion mixture in prepared baking dish. Combine heated vegetable broth, salt, and garlic and pour over rice mixture. Cover and bake 1 hour and 15 minutes. Stir in cranberries. Recover and bake another 15 minutes (or until water is absorbed). In a dry skillet, spread almond slivers and pumpkin seeds in a single layer. Place over a medium heat, making sure to move them frequently so they don’t burn (this should only take a few minutes). Toss almond and pumpkin seed mixture into rice mixture and serve immediately. In a blender, combine the cashews, dates, water, vinegar, lemon juice, garlic powder, dill, salt, pepper, and oil. Purée, adding more water as needed to achieve the desired consistency. Coat a medium skillet with oil and heat over medium heat. Add the red onions and bell peppers and cook until soft, 6 to 7 minutes. Add the chili powder, onion powder, garlic powder, and black pepper to the skillet and cook for 1 minute. Add the Liquid Aminos to the pan and quickly stir for about 15 seconds. Remove from the heat and transfer to a bowl. Cover the bowl and transfer it to a refrigerator to chill for at least 30 minutes. In a food processor, add the hearts of palm. Pulse to a coarse, even consistency, but do not purée them. Transfer to a large mixing bowl and add the chilled veggies, 1 ½ cups of the panko, the vegan mayonnaise, and green onions and mix well. Form into 8 cakes and roll them in the remaining 1 cup panko. In a wide skillet, melt the vegan butter over medium-high heat. Add as many cakes as will comfortably fit in the pan and fry them for 4 minutes per side. Repeat this process until you have cooked all the cakes. Serve each cake with a dollop of the dill mayo. Fill muffin cups to the top for big muffin domes, says Post Punk Kitchen’s Isa Chandra Moskowitz, creator of this recipe featured in Forks Over Knives — The Cookbook. 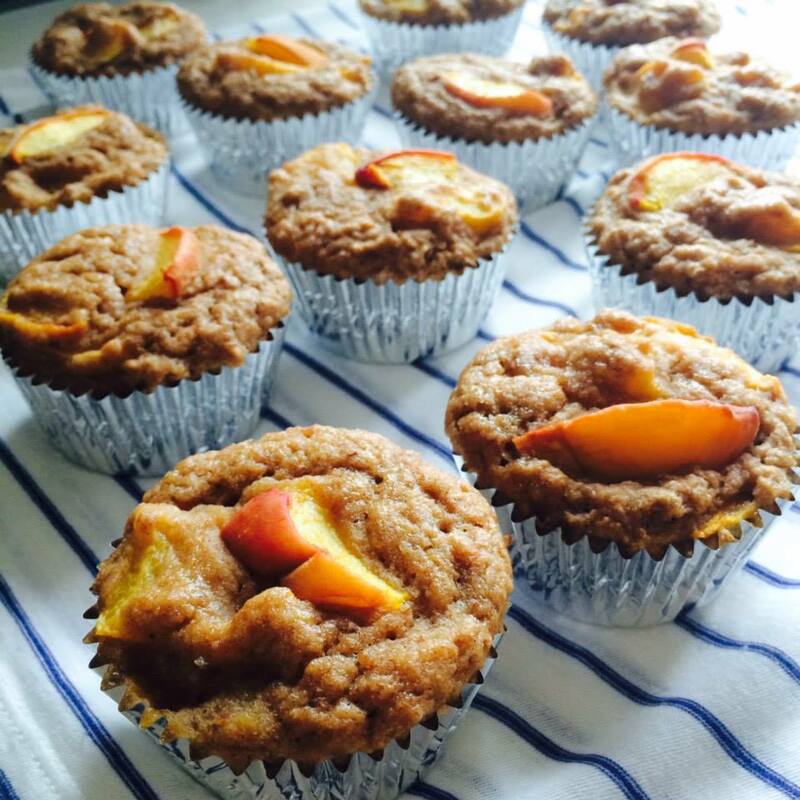 Fill muffin cups to the top for big muffin domes, according to Post Punk Kitchen's Isa Chandra Moskowitz, creator of this recipe featured in "Forks Over Knives -- The Cookbook." In a large measuring cup using a fork, vigorously mix together the plant-based milk, ground flaxseeds, and vinegar for about a minute (or until it appears foamy). Set aside. In a mixing bowl, sift together flour, sugar, baking powder, salt, ginger, and cinnamon. Make a well in the center of the dry mixture and pour in the milk mixture. Add the applesauce and vanilla and stir together with the milk mixture in the well. Incorporate the dry ingredients into the wet ingredients in the well just until all the dry ingredients are wet and incorporated -- do not over-stir. Gently fold in the peaches. Fill each muffin cup all the way to the top. Bake for 24 to 27 minutes, or until a knife or toothpick inserted through the center comes out clean. Remove pan from oven. Let muffins cool completely for about 20 minutes, then carefully run a knife around the edges of each muffin to remove. No refined sugar — its sweetness comes from bananas and dates! Tip: Adjust the baking time based on how crunchy or chewy you like your granola. The longer you leave it in the oven, the harder it will get. Delicious in a bowl with almond milk and fresh fruit. 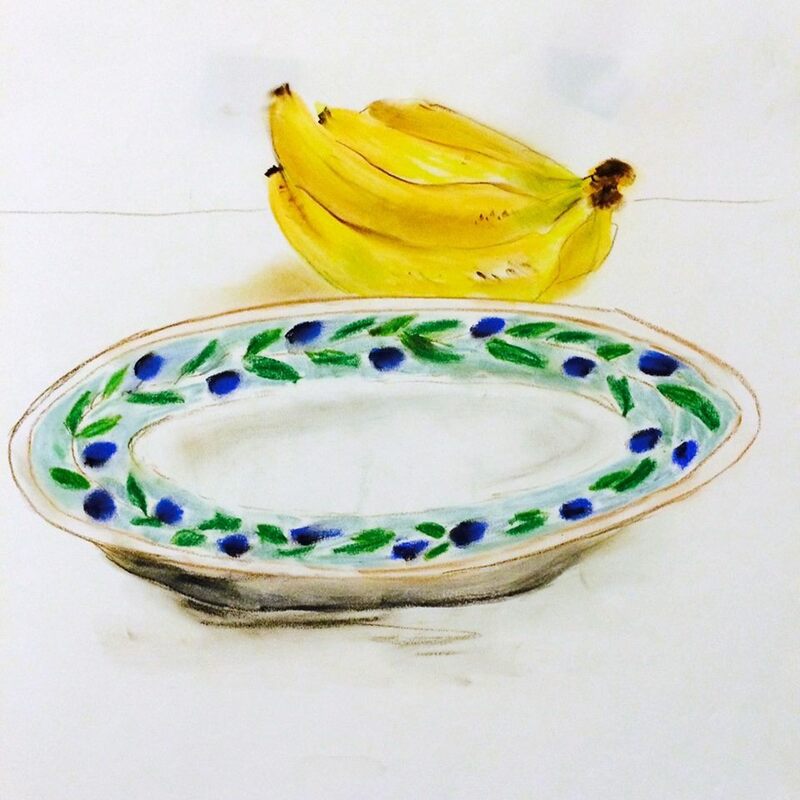 No refined sugar -- its sweetness comes from bananas and dates! Add oats, pecans, pumpkin seeds, raisins, and slivered almonds (or whatever nuts/seeds/dried fruit you've chosen) to a large mixing bowl and set aside. Place dates and cup of water in a saucepan, bring to a boil, and cook for about 10 minutes. 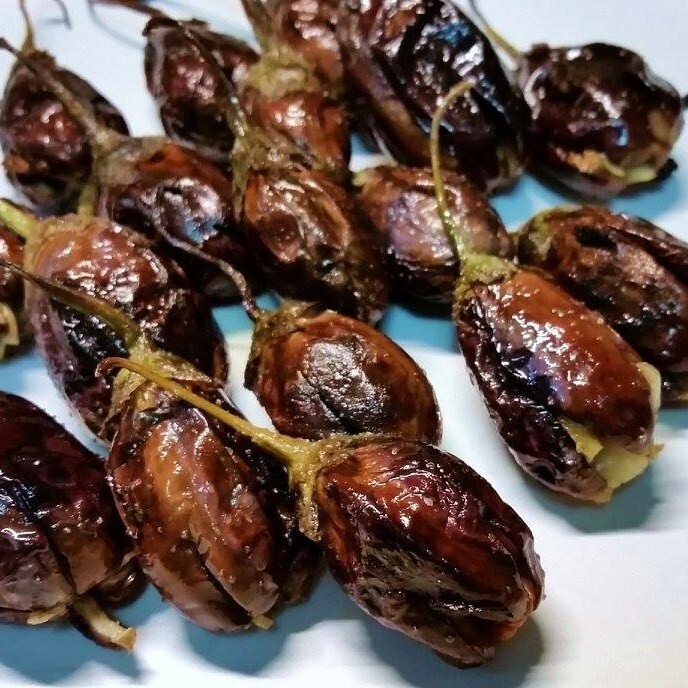 Stir frequently and add more water as necessary to keep dates from sticking to saucepan. When dates have become a paste, add them along with the bananas and vanilla or almond extract to a blender and process until smooth. Pour the date mixture over the oat mixture and mix everything well. Divide the granola between the two baking sheets, spreading evenly in the pans. Bake for 40 to 50 minutes, stirring every 15 minutes, until the granola is crispy (the granola will get crispier as it cools). Store in an airtight container. 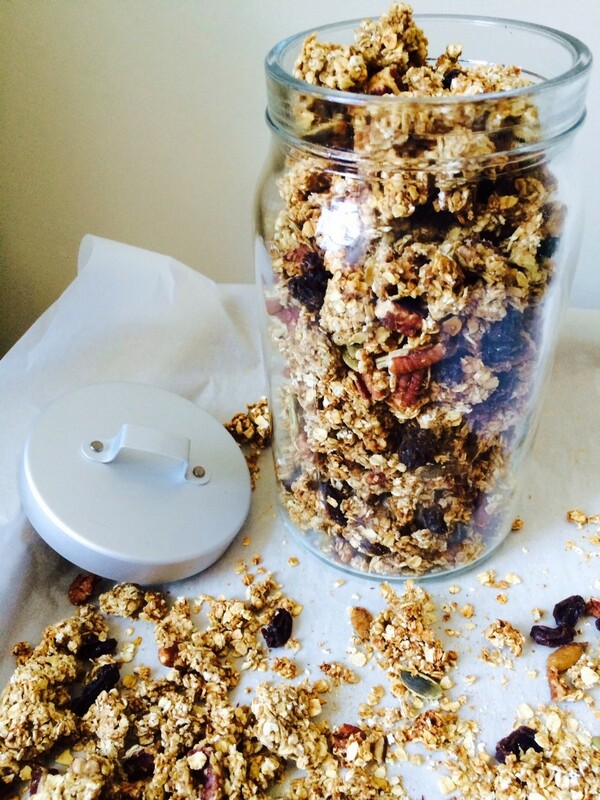 Adjust the baking time based on how crunchy or chewy you like your granola. The longer you leave it in the oven, the harder it will get. Delicious in a bowl with your favorite plant-based milk (almond, coconut, or hazelnut, especially!) and fresh fruit. 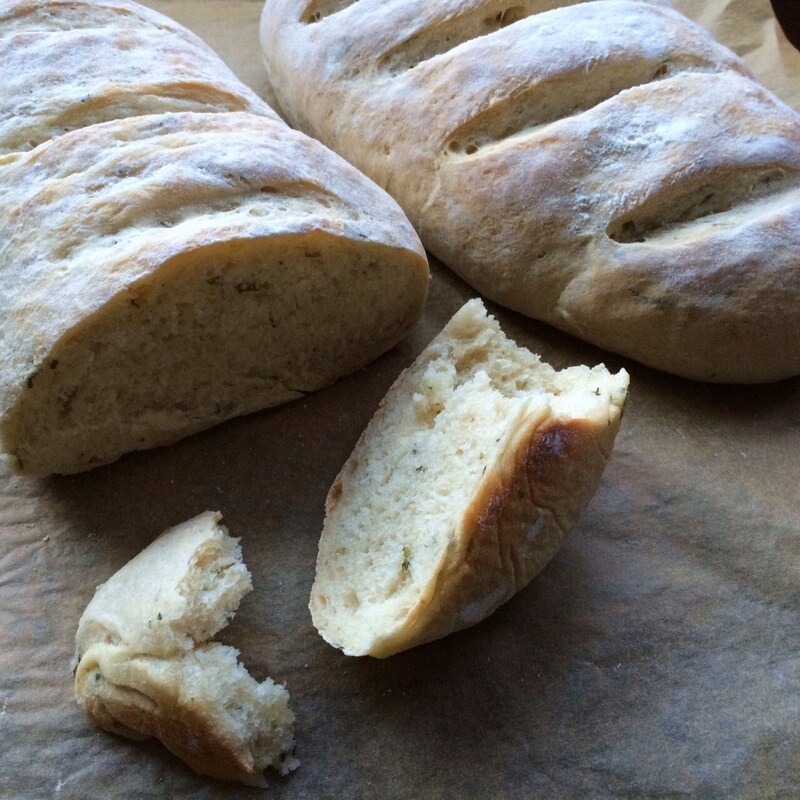 Okay, white flour is not the healthiest, but maybe fresh-baked bread gets a pardon? Tip: Want to add some extra flavor? Try the basil and herbs de provence version of this recipe. Place the warm water and maple syrup or agave in the bowl of a stand mixer (or in a regular metal bowl if not using a mixer), and sprinkle the packet of yeast on top. Let stand until yeast gets foamy (about 5 minutes or so). In a another bowl, whisk together the flour and sea salt. Using the stand mixer on medium speed with its dough-hook attachment, begin to add the 4 cups of flour slowly to the proofed yeast mixture. (If mixing by hand, use a spoon to stir flour slowly into the yeast mixture.) Once the 4 cups of four have been mixed in, add a bit more from the reserved ½ cup of flour -- the dough should be stiff. Turn the dough out onto a lightly floured work surface. Slowly continue to add from the reserved ½ cup of flour as necessary to keep it from sticking to the work surface (it's not necessary to use all of the reserved flour). Knead with floured hands until the dough is smooth and elastic (about 6 minutes). Form the dough into a ball and place in an oiled bowl, turning once to coat the entire ball. Cover with a clean kitchen towel and leave the dough to rise for 90 minutes (it should nearly double in size). 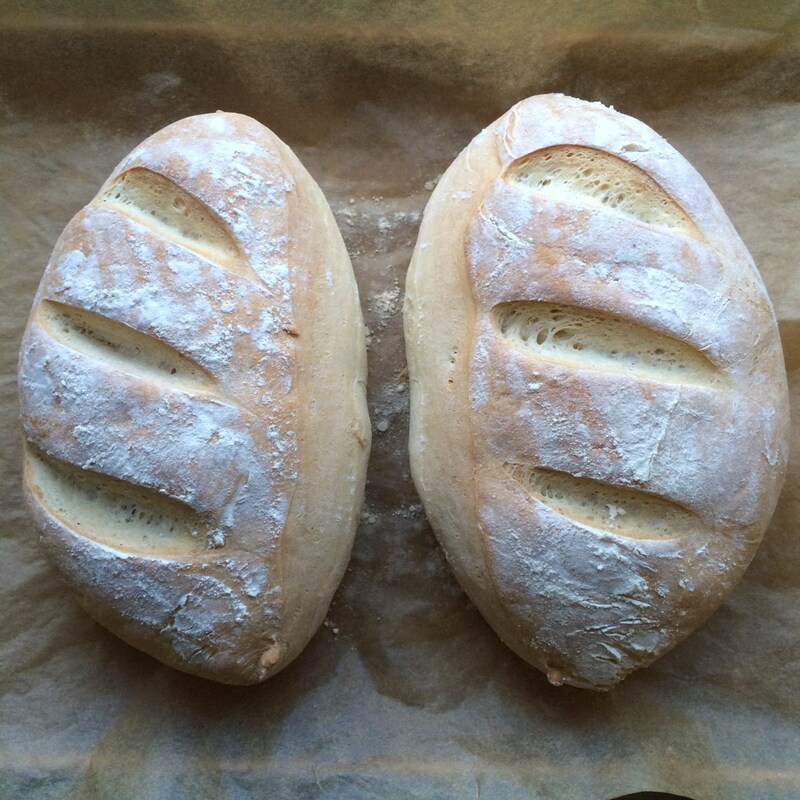 Gently punch the dough down to deflate it a bit, cut it in half, and shape it into two baguettes. Dust the tops of each baguette lightly with flour and place on a parchment-paper-lined (or lightly greased) baking sheet. Let rise for another 30 minutes, uncovered. With a sharp or serrated knife, cut several small diagonal slits across the tops of each baguette. Mist each loaf with water (or sprinkle a few drops on top). Bake in the center of the oven for 30 minutes. Transfer to a rack to cool a bit and serve while warm. Grandma gave it to Mom who gave it to me. Makes 4 pints of a lovely Heinz alternative. 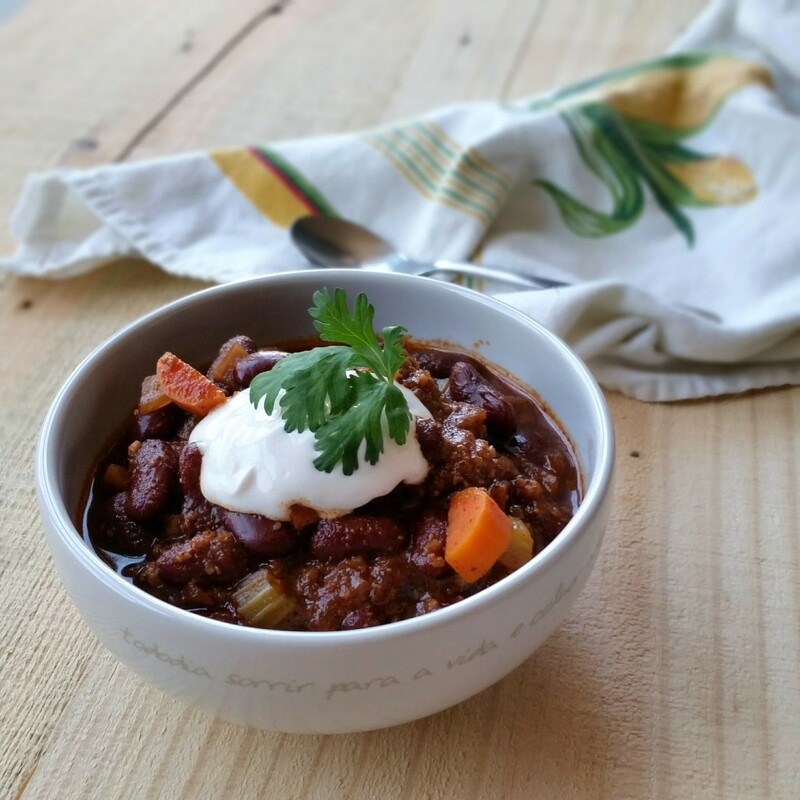 Tip: Great for topping veggie burgers, adding to baked beans, cooking up homemade barbecue sauce, and making my (or your) favorite sweet chili con ‘carne’ recipe. Grandma's recipe! Makes 4 pints of a lovely Heinz alternative. Great for topping veggie burgers, adding to baked beans, cooking up homemade barbecue sauce, and making your favorite sweet chili recipe. Lay out a piece of cheesecloth and place chopped bell pepper and chopped onion into the center. Gather up the edges and use cooking twine to tie it up into a sachet. Place all the ingredients except for the cornstarch into a pot along with the sachet of peppers and onions. Stir to combine, bring to a boil, then lower to a medium heat and cook for 30 minutes, uncovered. Stir occasionally. While sauce is cooking, in another bowl, mix the cornstarch with a little water to make a thin paste. 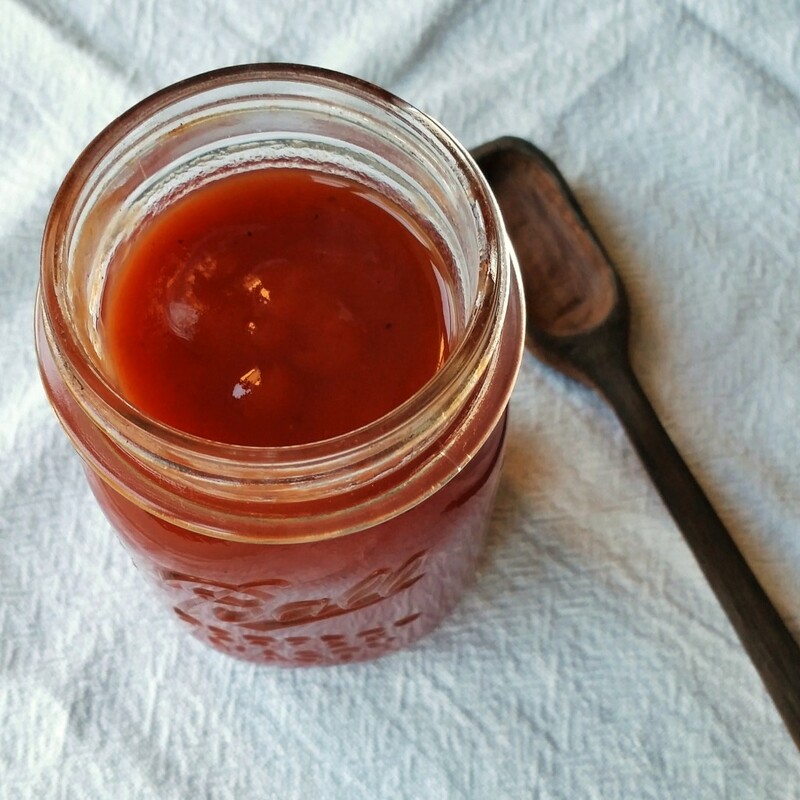 When sauce is finished (at 30 minutes), remove from stove. Remove the sachet of peppers and onions (discard, or eat them if you're so inclined), and slowly add cornstarch mixture, stirring sauce constantly while adding (stirring nonstop is critical or cornstarch will form lumps). Return sauce to stove and boil until mixture thickens, about 2-5 minutes (stirring several times). Note: sauce will thicken slightly more as it cools. 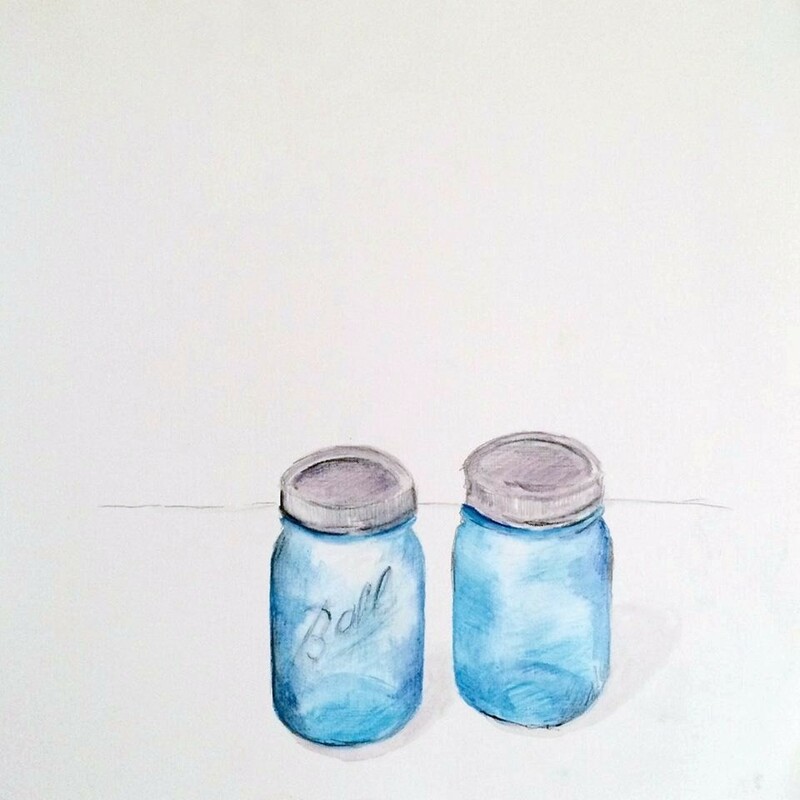 Pour finished ketchup into 4 1-pint Ball canning jars and seal with canning lids. Pair with garlic rice, Southern cornbread, or tortilla chips for the perfect sweet + savory combination. Tip: Try my easy cornbread recipe — it’s, um, easy. Plus, golden, fluffy, and perfect with chili. In a large, deep skillet, heat the Earth Balance until melted. Add the the onion, carrot, celery, and garlic to the skillet and sauté for 5 minutes. Don't allow garlic to burn. Add the vegetable broth, lemon juice, salt, dry mustard, chili powder (I recommend starting with 2 tablespoons and adding more to taste as chili cooks), vinegar, catsup, Worcestershire sauce, brown sugar, and tomato juice to the skillet. Combine everything with a wooden spoon. Cover and simmer on low for 20 minutes, stirring occasionally. Add kidney beans and browned vegan beef crumbles. Simmer for another 10-15 minutes. Taste chili, and add more heat, salt, or sweet if desired. Top with whatever you love, and serve with rice, Southern cornbread, or tortilla chips. A sweet snack with no refined sugar but plenty of nutrition. In the most powerful blender you have (a NutriBullet or Vitamix is ideal), blend the almond milk, dates, vanilla, and cinnamon until smooth. Transfer this mixture to a bowl and stir in the chia seeds until evenly combined. Let stand 20-30 minutes so chia seeds can expand and soften. If you prefer pudding chilled, refrigerate overnight. Give pudding a good stir before serving. 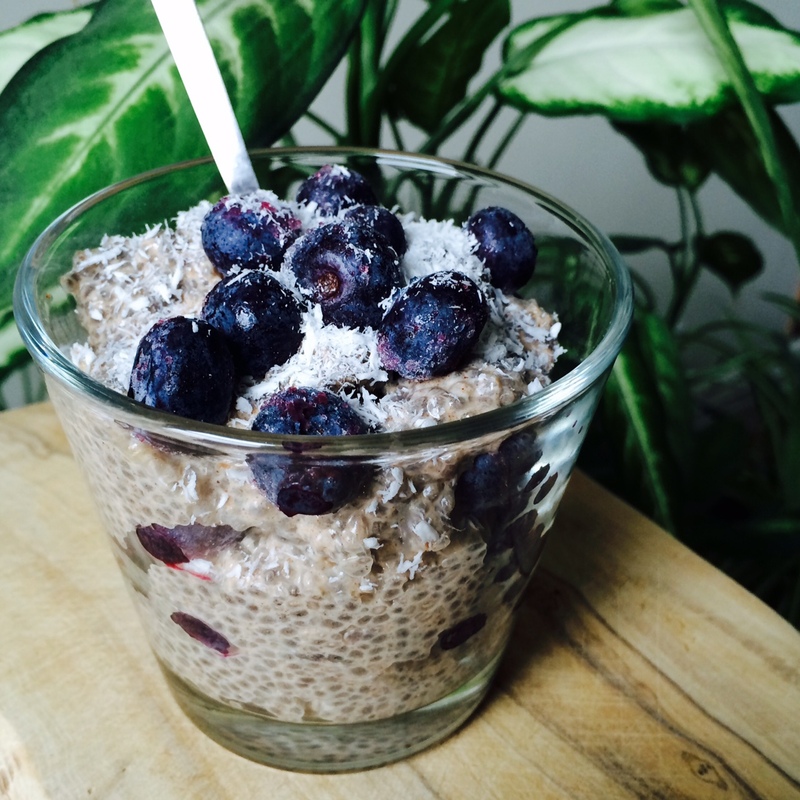 Top with unsweetened coconut flakes and fresh blueberries. Drizzle with olive oil and break out the wine. Drizzle lightly with olive oil and break out the wine. Place the warm water and maple syrup in the bowl of a stand mixer (or in a regular metal bowl if not using a mixer), and sprinkle the packet of yeast on top. Let stand until yeast gets foamy (about 5 minutes or so). In a another bowl, whisk together the flour, sea salt, basil, and herbes de Provence. Bake in the center of the oven for 30 minutes. Transfer to a rack to cool a bit, and eat it while it's warm! APB: Eats is here to inspire you.